Once again, Connecticut’s presence in the reality show world is back at zero. The city of Bridgeport will no longer participate on A&E’s reality show, Live PD. CT Post reports that city officials were the driving force behind the exit. They feared the series was starting to paint Bridgeport in a negative light that would dissuade future investors and residents. Local schools also expressed concern about the violence seen in the show, saying it had the potential to negatively impact student enrollment. 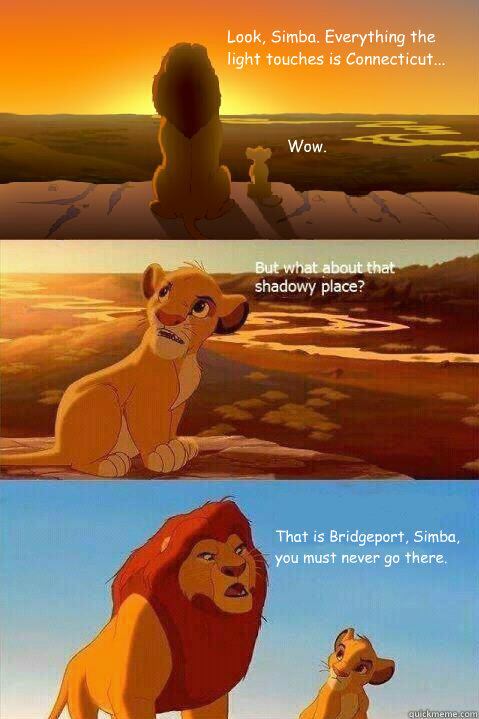 Hate to break it to you Mickey, but Bridgeport is pretty much known for being one of America’s most dangerous cities. Heck, even Family Guy uses it as a punchline from time to time. I mean, have you not seen the memes? So, even if Live PD didn’t do the city any favors in the image rehabilitation department, the damage was done way before I was born. And, I get it, no one wants to be in charge of a city that makes people feel unsafe. No one likes to be branded a sinking ship. Considering Bridgeport’s rich history and prime location along Connecticut’s coast, officials want that to be the focus of attention. Still, despite whatever repercussions the show caused, it did some major good. What the show did do, and do extremely well, was humanize police officers. Bridgeport PD received extremely positive feedback from all over America during its time on the show. Earlier this month, Police Sgt. Chris Robinson went viral following his emotional breakdown when a 1-year-old died. It was those moments that showed the nation that police officers are human and mourn the unnecessary loss of life.